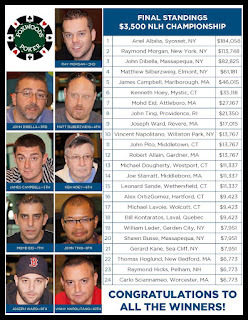 The 2012-2013 World Series of Poker Circuit Series makes a stop at Foxwoods this year from March 27th to April 8th. 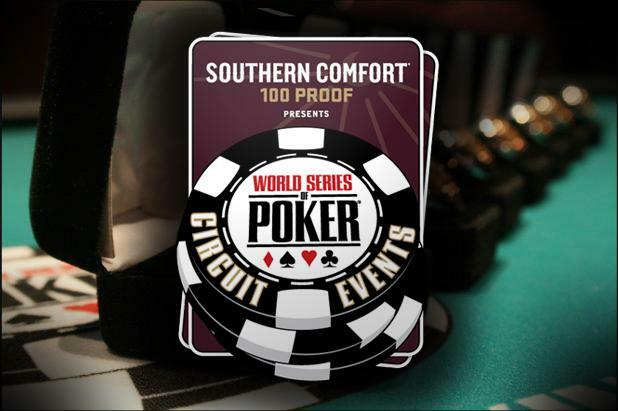 Play against the best Circuit grinders in the country and earn your spot in the 2013 World Series of Poker Circuit National Championship. Come and take your shot with 12 Circuit Ring events in 12 days. Ariel Albilia, winner of the World Poker Finals Main Event! Congratulations to Ariel Albilia, champion of the 2012 Foxwoods World Poker Finals Main Event. Albilia take home $184,058 and the World Poker Finals Trophy and Watch for his victory. Thanks again to everyone who participated in the World Poker Finals! Morgan has Albilia dominated and is in good shape to double up. However, the run good of Ariel Albilia continues as the board runs out [9s][8d][3s][Kd][6d]. 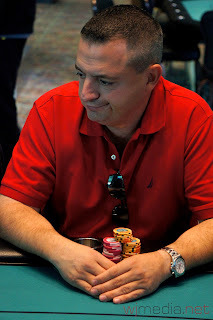 Albilia pairs his nine to win the pot, eliminating Raymond Morgan in 2nd place for $113,748. 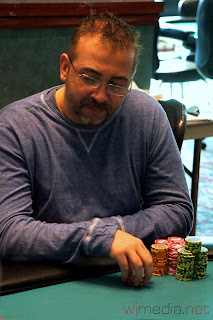 With Ariel Albilia holding a massive chip leader over the other two players, John DiBella gets his last few chips in the middle in a great spot. DiBella holds [Kh][Th] to Albilia's [Kc][4c]. The flop comes [Tc][8h][4d] and both players flop a pair. The turn is the [3c], giving Albilia a flush draw. 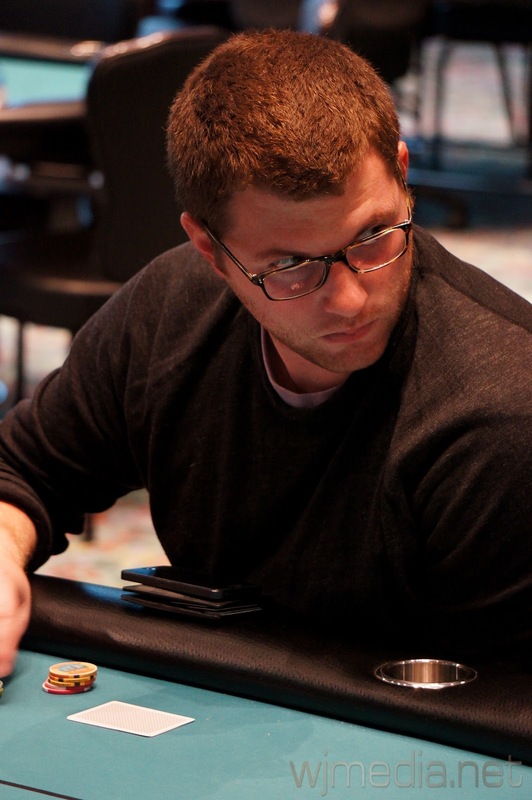 The river is the [5c], completing Albilia's flush and giving him the pot. 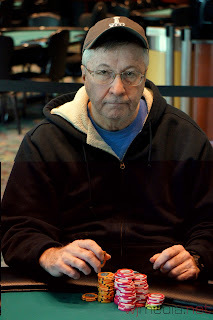 John DiBella is eliminated in 3rd place, taking home $82,825. The board runs out [Qd][4d][2s][Ah][Th] and Albilia wins the pot. Matthew Silberzweig is eliminated from the World Poker Finals Main Event in 4th place for $61,181. 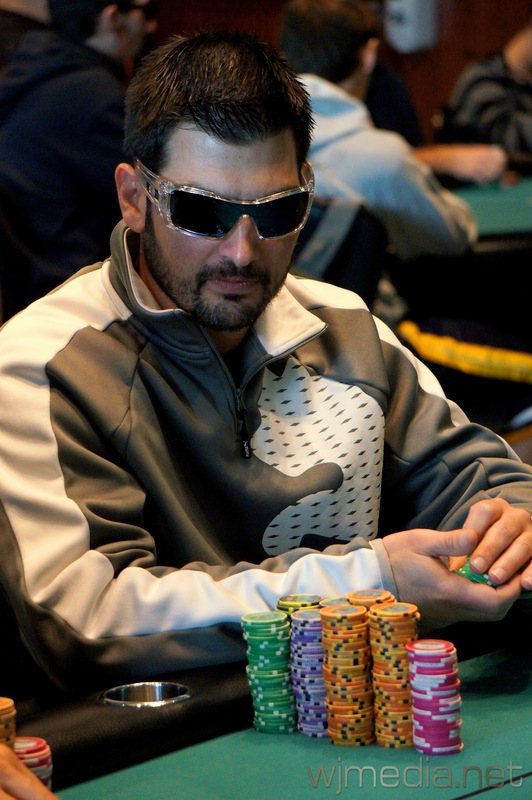 John DiBella raises to 105,000 from under the gun and James Campbell three-bets to 305,000. DiBella calls and the flop comes [Ts][5c][3d]. The turn is the [9d] and the river comes the [8d]. DiBella's aces hold to take the biggest pot of the tournament thus far. 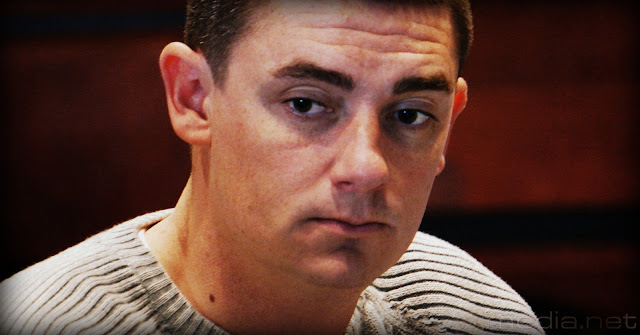 James Campbell is eliminated from the World Poker Finals Main Event in 5th place for $46,015. 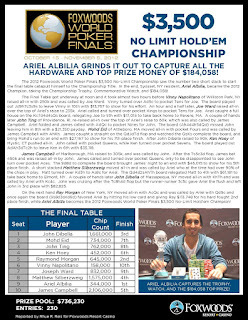 Campbell won the $400 No-Limit Hold 'em event earlier during the World Poker Finals series as well. 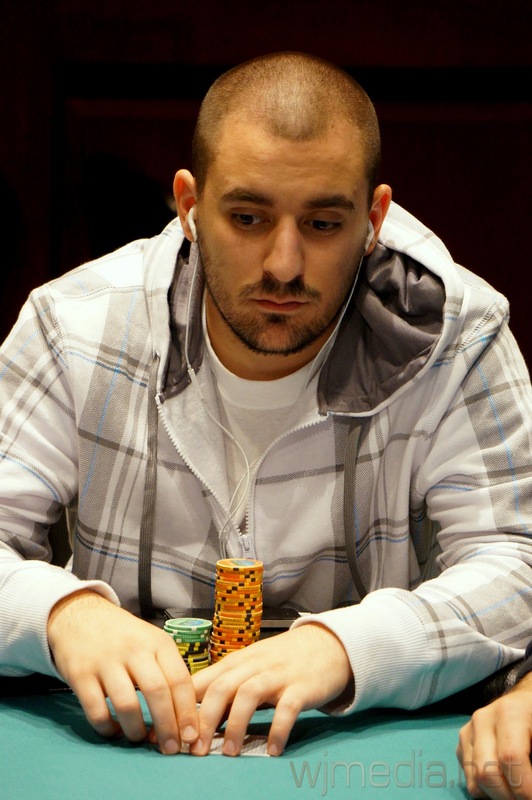 Ariel Albilia, current chip leader at the World Poker Finals Main Event Final Table. The board comes [Ad][Ah][3d][Tc][2h] and DiBella wins the pot. Ken Hoey is eliminated in 6th place at the World Poker Finals Main Event and takes home $35,118. The flop comes [Qd][Jd][Td] and Campbell flops broadway. The [Qs] on the turn give Eid some out for a full house but the [Ks] on the river gives the pot to Campbell. 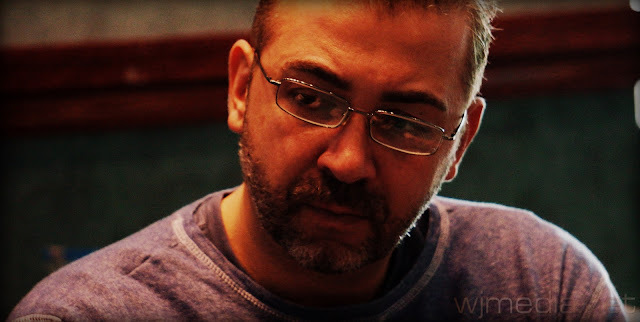 Mohd Eid is eliminated in 7th place at the World Poker Finals Main Event and takes home $27,167. 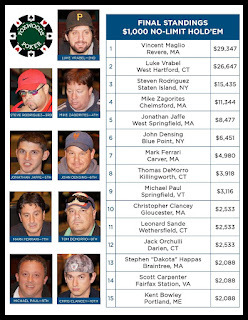 @foxwoodspoker Knocked out in 8th place by @jcamby33 Met some great guys and poker players. Good luck to the rest! Ariel Albilia raises to 60,000 before the flop and is called by James Campbell. The board comes [Ah][4d][4h][5d][Qd] and Campbell makes two pair to win the pot. John Ting is eliminated from the World Poker Finals Main Event in 8th place for $21,350. The board runs out [Kc][7d][4d][4s][Qs] and Albilia takes the pot, barely having Ward covered. Joseph Ward is eliminated from the World Poker Finals Main Event in 9th place for $17,150. The board runs out [Jd][9h][7c][3s][9s] and Ward wins the pot with his two pair. 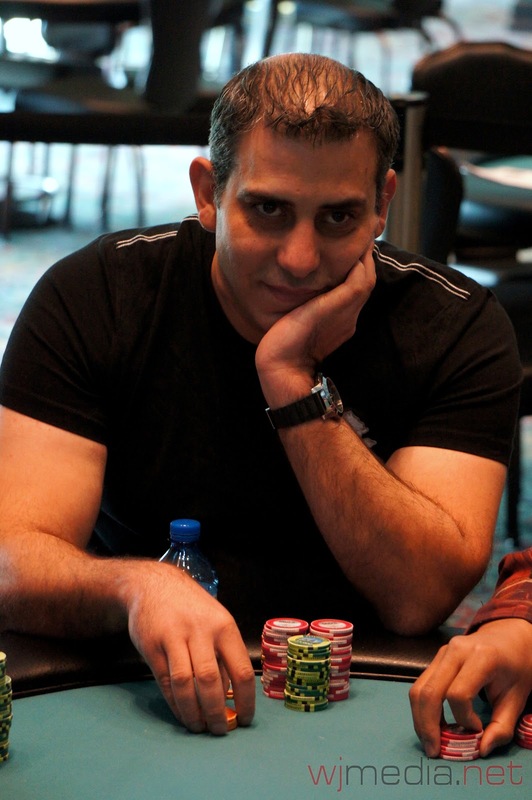 Vinny Napolitano is eliminated from the World Poker Finals Main Event in 10th place, taking home $13,767. World Poker Finals Main Event Final Table Now Streaming Live! The final table of the World Poker Finals Main Event is now streaming live. Just click on FoxwoodsLive.com to watch the action. World Poker Finals Main Event Final Table Kicks Off in 20 Minutes! Thanks for the support guys...much appreciated. Kickoff in one hour. The final table of the $3,500 buy-in Foxwoods World Poker Classic Main Event kicks off in less than 20 minutes. You can watch the live feed once play begins at FoxwoodsLive.com. Play will resume tomorrow at noon with 8:46 left in the 8,000-16,000 with a 2,000 ante blind level. James Campbell leads the final table with 2,106,000. 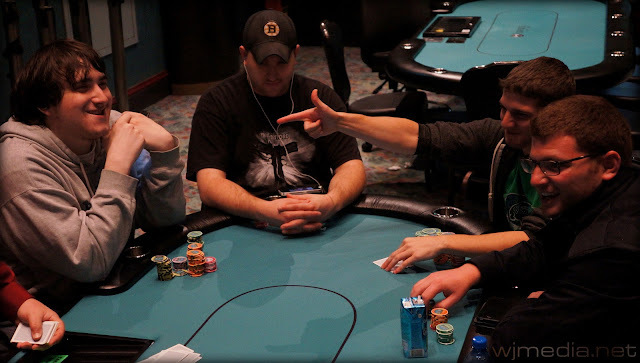 Play has come to an end on Day 3 of the Foxwoods World Poker Finals Main Event. The ten remaining players will resume tomorrow at noon and play to a winner. 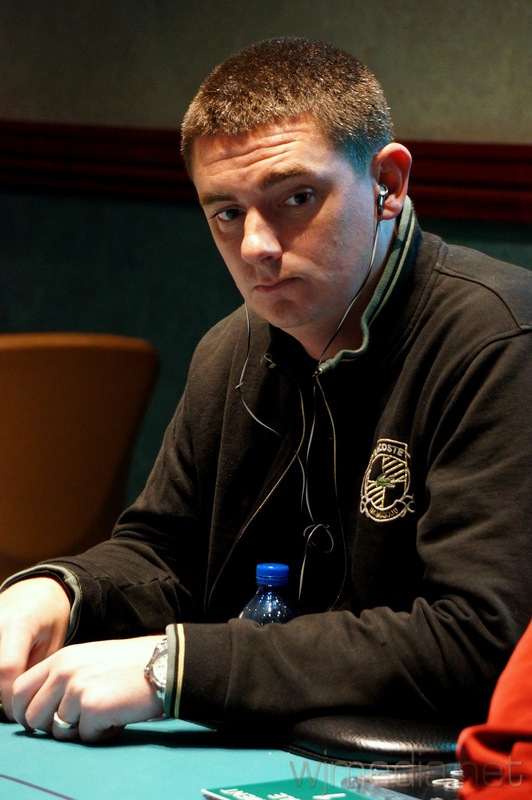 James Campbell is the chip leader going into the final table with 2,106,000. Final chip counts and Final Table seat assignments will be posted shortly. 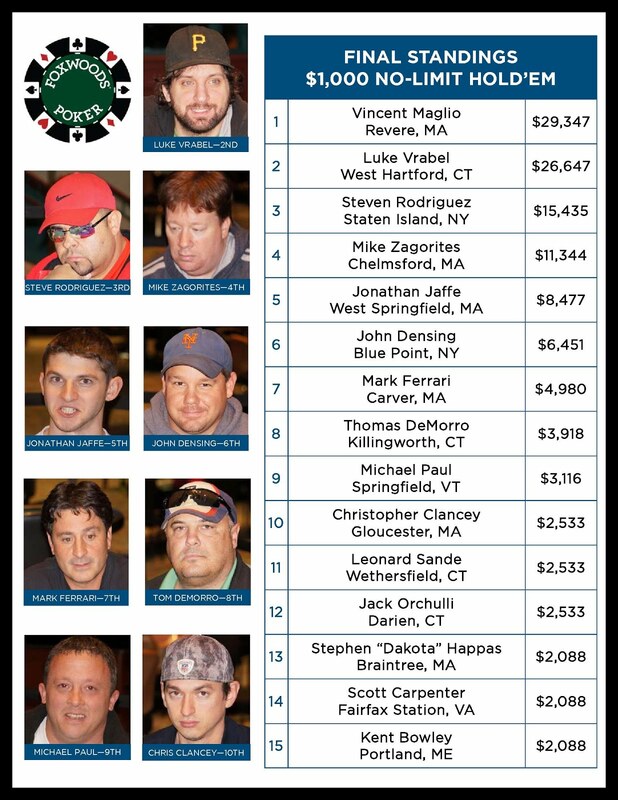 The final 21 players in the Foxwoods World Poker Finals Main Event are now on a 15-minute break. When play resumes, the blinds will be increased to 6,00-12,000 with a 2,000 ante. James Campbell is the current chip leader with 1,243,0000. Play will continue today for four more levels or the final table, whichever comes first. With only 27 players remaining and top 24 finishing in the money, Gerald Kane triples up with a royal flush to stay alive in the $3,500 buy-in Foxwoods World Poker Finals Main Event. A short-stacked Aaron Smith moves all-in from the button with [Qs][8s] and is called by the small blind with [Td][Th]. The board runs out[Jd][7h][5d][Js][3s] and Smith is eliminated in 25th place. All remaining players are now guaranteed at least $6,773. 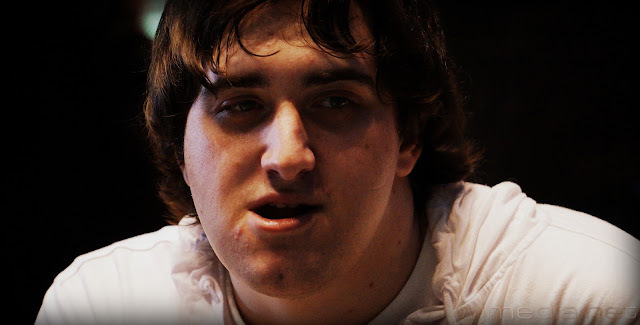 Justin Schwartz been eliminated from the World Poker Finals Main Event in a very strange scenerio. 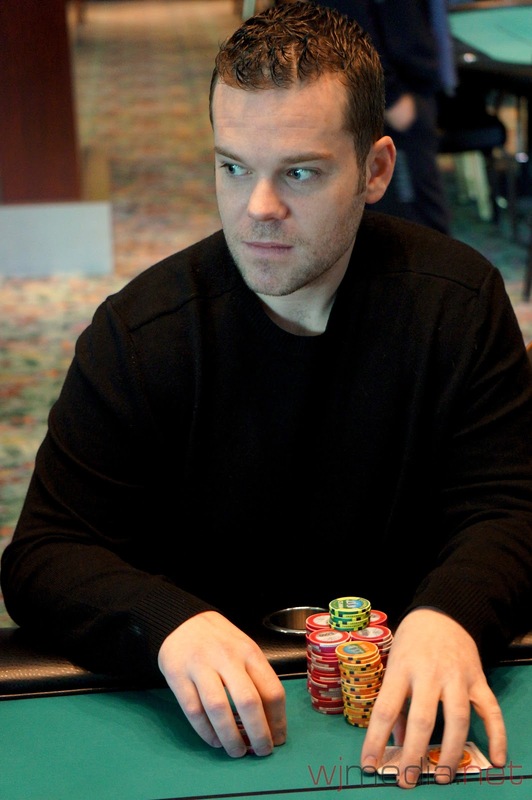 After a raise from the cutoff, Schwartz moves all-in from the button. It is folded back around to the cutoff, who looks at Schwartz for a few moments and then turns over [Ad][As]. The player says nothing, just continues to look at Schwartz. Finally, Schwartz asks "Is that a call?". After the player doesn't respond, repeatedly, Schwartz calls the floor. The players is informed he will receive a one-round penalty for exposing his hand before action is complete (the correct ruling as you cannot ever expose your hand unless you are the final two players remaining in the tournament, not just the hand). After arguing the ruling for a few moments, the players finally says "Call." and Schwartz shows [8h][8s]. The board runs out [Qd][6h][2c][Ah][2d] and Schwartz is eliminated in 30th place. 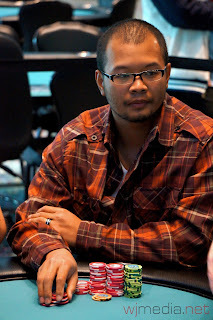 Soheb Porbandarwala gets his last few chips in the middle before the flop with [As][Kc] and is in a dominating position to double up against the [Kh][Qs] of John Ting. However, a queen on the flop sends Porbandarwala to rail in 33rd place. We have reached the first 15-minute break of the day. There are now 33 players remaining and the average chip stack is 279,000. You can watch the feature table by clicking on FoxwoodsLive.com. The final 24 will finish in the money. The board runs out [8h][7c][3c][Ks][5h] and Campbell takes the pot. 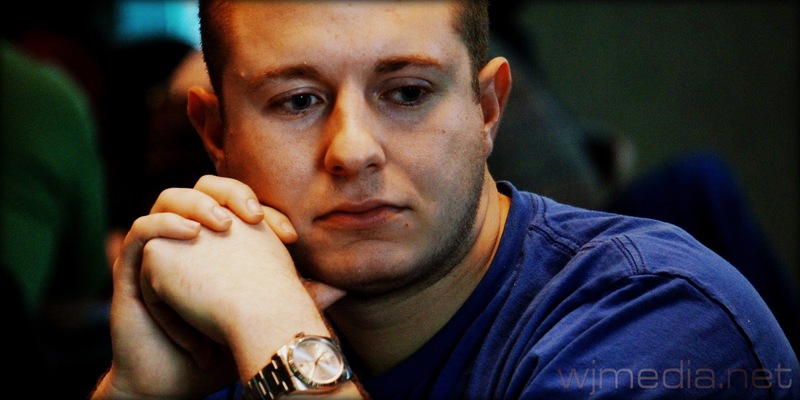 Happas is eliminated from the World Poker Finals Main Event in 36th place. Campbell now sits on over 500,000 chips. After Steve Dakota Happas opens for 13,000 with the blinds at 3,000-6,000, James Campbell raises to 28,000. Behind him, Todd Boghosian makes it 61,000 before the flop. 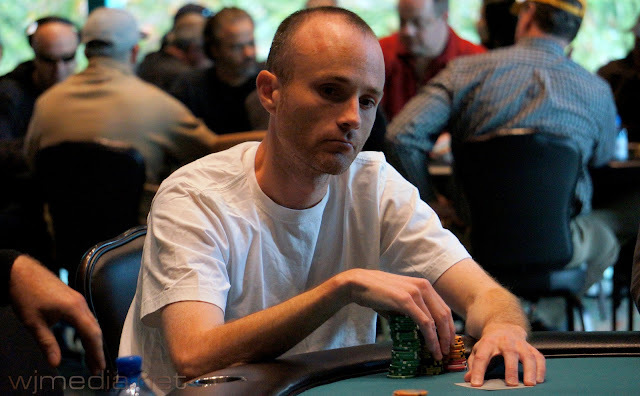 Happas mucks and Campbell thinks for a few minutes before sliding out a 106,000 chip five-bet. Boghosian tanks for a few moments before giving up his hand. 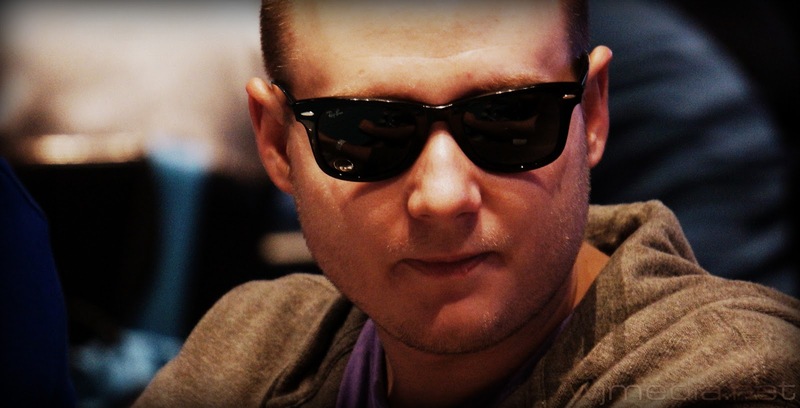 Campbell, winner of the $400 No-Limit event this year at the World Poker Finals, has now built his stack up to over 400,000 from the 227,000 he started Day 3 with. 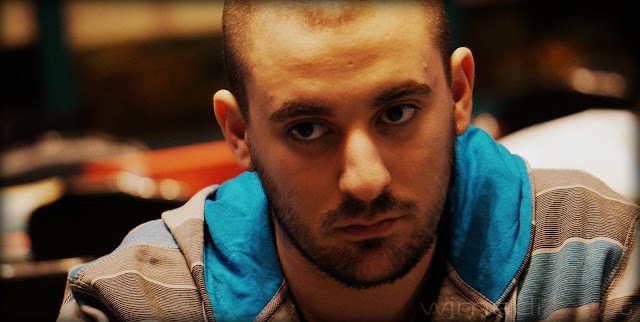 On the second hand of play on Day 3, Will "The Thrill" Failla has been eliminated from the World Poker Finals Main Event. We are currently down to 40 players with the top 24 cashing. 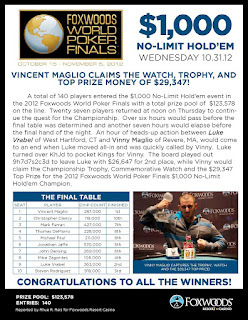 You can watch the feature table live by clicking on FoxwoodsLive.com. 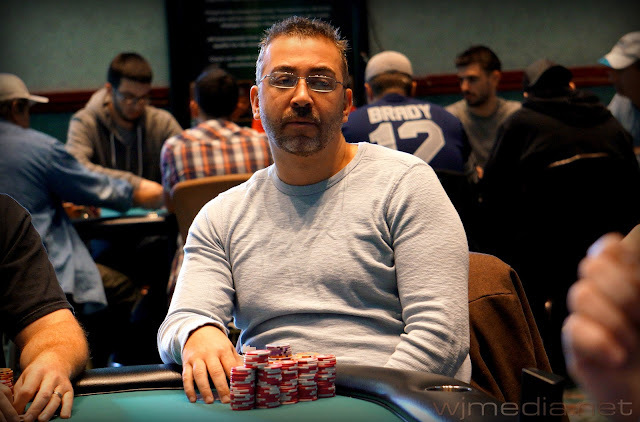 Day 3 chip leader John DiBella starts today with 700,000 in chips. Day 3 of the $3,500 buy-in Foxwoods World Poker Finals Main Event is now underway. There are 49 players remaining and the average chip stack is 188,000. The blinds are currently 2,500-5,000 with a 500 ante. Play will continue today for eight levels or the final table, whichever comes first. 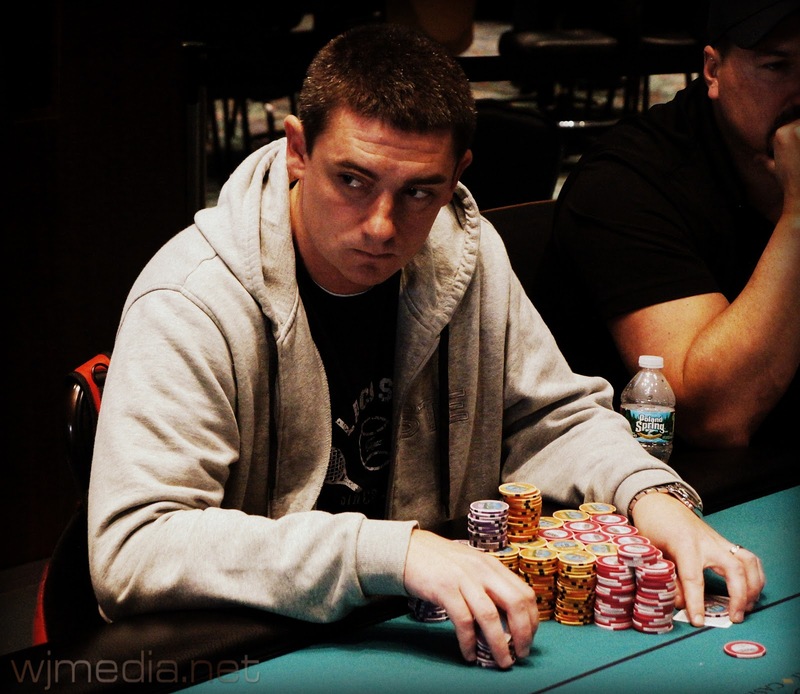 Play has come to an end on Day 2 of the Foxwoods World Poker Finals Main Event. It looks like there are approximately 49 players remaining. Play will resume tomorrow at noon and play for another eight levels or the final table, whichever comes first. Final chip counts and Day 3 seat assignments will be posted right here on FoxwoodsPoker.com as soon as they are available. Shortly after doubling his short-stack up, Brian Hastings has been eliminated from the Foxwoods World Poker Finals Main Event when his pocket tens where unable to improve against his opponent's pocket kings. 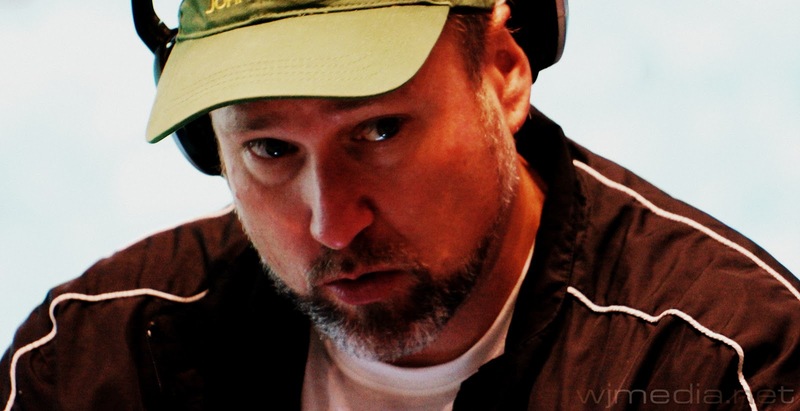 Brian Hastings, winner of the $10,000 World Series of Poker Heads-Up Championship this summer, just doubled up late on Day 2 of the Foxwoods World Poker Finals Main Event. As short-stacked Hastings got all in with [As][3h] against his opponent's [9c][9h] before the flop and was able to spike his ace on the flop. 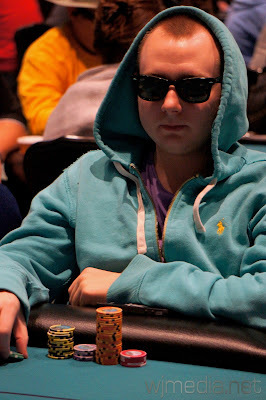 Hastings now sits on almost 70,000 with the blinds at 2,000-4,000 and about 40 minutes of play left on Day 2. There are 52 players remaining. 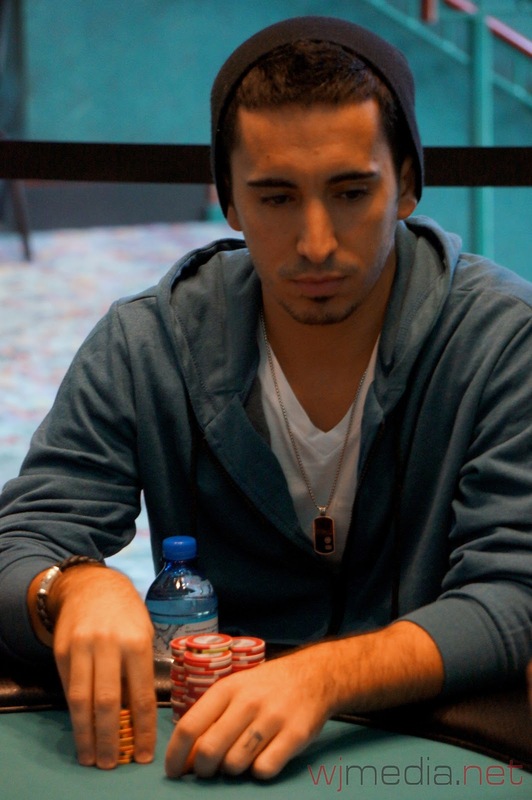 The player on Day 2 of the World Poker Finals Main Event are now on their final break of the day. They will play two more levels and then play will conclude for the day. The blinds will be going to 1,500-3,000 with a 500 ante and the average chip stack with 68 players remaining is now 135,500. $1,000 No-Limit Hold 'em runner-up Luke Vrabel has been eliminated from the Feature Table at the World Poker Finals Main Event. At 2nd break. Lost 240k pot qq against kk - still have 225k 89 players left. 60k going into 1k/2k. That was a frustrating couple of levels. Vinny Maglio, who won the $1,000 No-Limit Hold 'em just a few day ago, has been eliminated on Day 2 of the Foxwoods World Poker Finals Main Event. 68k on first break going into 600/1200. At the beginning of Day 2 of the $3,500 World Poker Finals Main Event, brothers Derek and Steve Happas find themselves in a unique spot. With 153 players still remaining, Derek is chip leader with 284,000 while Steve sits in 4th place with 181,300. 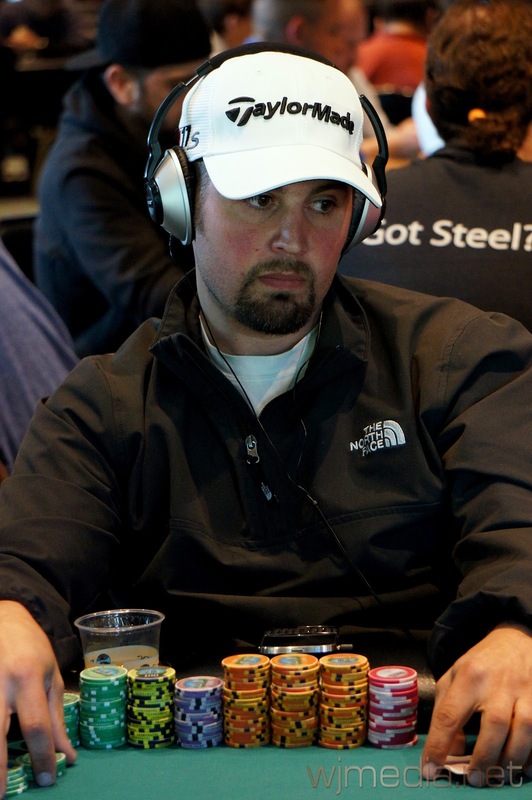 Tune in now to watch the live stream feature table with Luke Vrabel (seat 1) and Todd Terry (seat 3). You can watch by clicking on FoxwoodsLive.com. World Poker Finals Main Event Day 2 Now Underway! 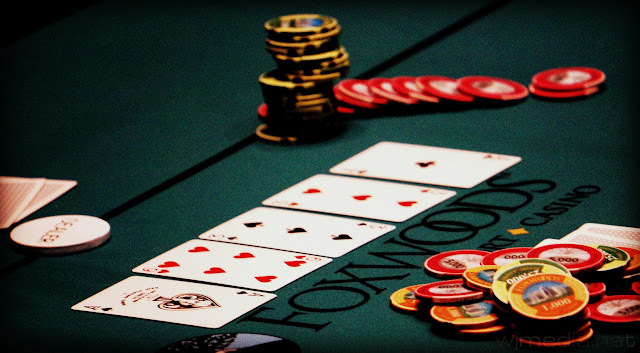 Day 2 of the Foxwoods World Poker Finals Main Event is now underway. The blinds are 400-800 with a 100 ante. With 158 players remaining, the average chip stack is 58,200. You can watch the live feed by clicking on FoxwoodsLive.com. 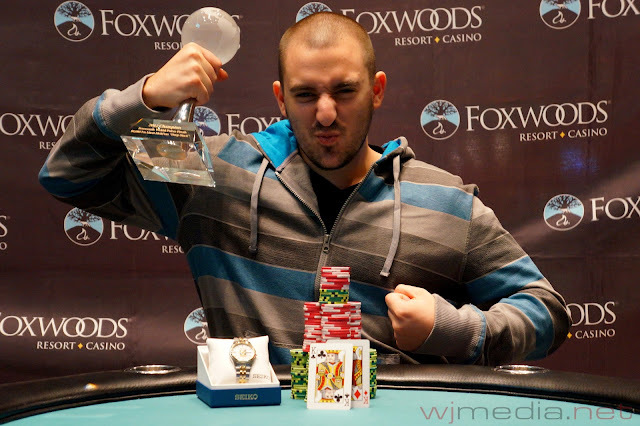 Play has come to an end on Day 1 of the Foxwoods World Poker Finals Main Event. There are approximately 160 players remaining. Final chip counts and Day 2 seat assignments will be posted shortly. Play resumes tomorrow at noon. 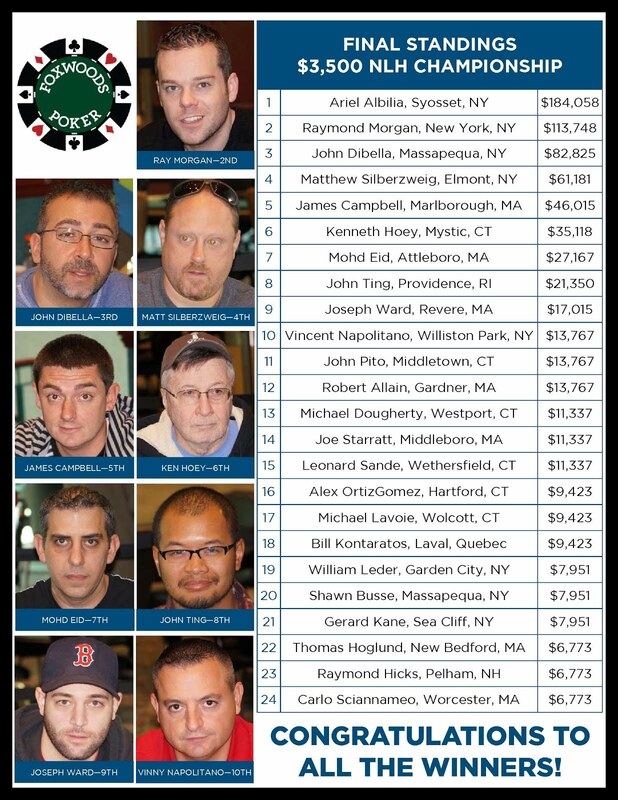 We had a total of 230 players in today's $3,500 No-Limit Hold 'em event at the Foxwoods World Poker Finals. The final 24 spots will finish in the money. It is Murderer's Row on Day 1 of the Foxwoods World Poker Finals Main Event as Justin Schwartz, Kyle Loman, Jonathan Jaffe and Nick Petrangelo are all seated in a row at their table. 2nd break @foxwoodspoker 58.2k Lost some where I shouldn't have, but happy to be moving the chip stack in the right direction overall. 34K going to 150/300/25. Still at the toughest table in the room. 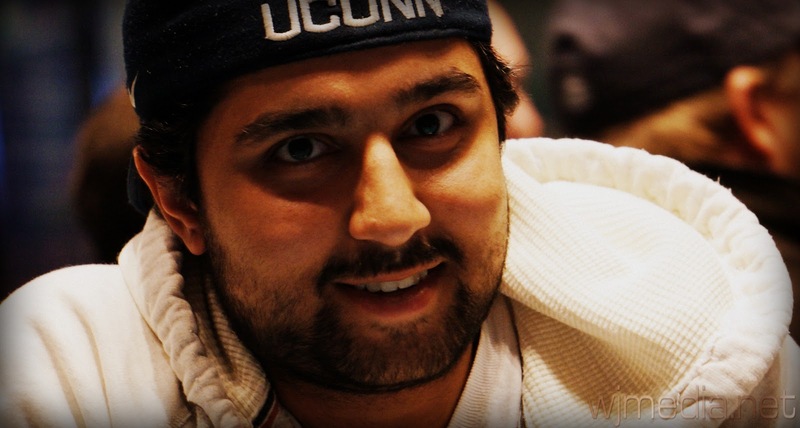 Chris Tryba, winner of the 2012 World Series of Poker $2,500 Mix-Hold 'em event, has been eliminated on Day 1 of the Foxwoods World Poker Finals Main Event. 1st break of ME @foxwoodspoker $3500 40k->53.3k. 2 levels down-only playing 6 more today. Day 1 of the Foxwoods World Poker Finals is now streaming live. 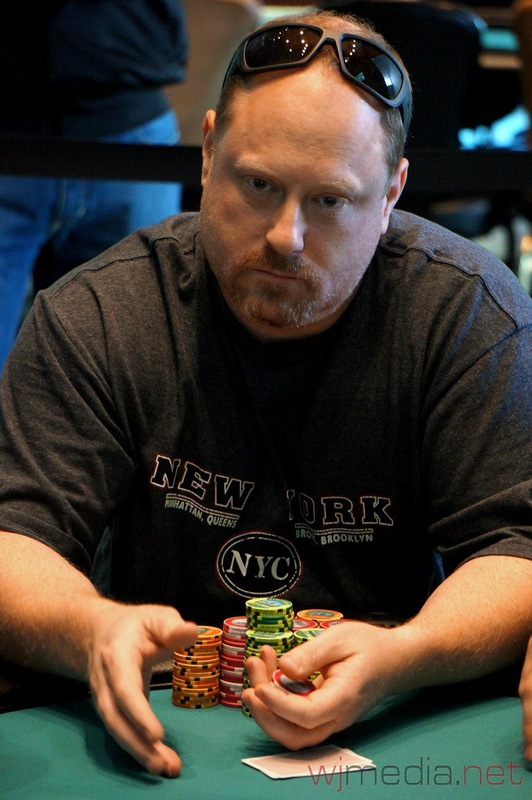 Todd Terry is currently in the seven seat at the feature table. There are currently 215 players in the Main Event with registration open for another two and a half levels. World Poker Finals Main Event is Underway! The $3,500 buy-in Foxwoods World Poker Finals Main Event is now underway. According to the tournament clock, it looks like there are already over 135 players in the event with registration open for the first four levels. The blinds are currently 50-100 and the levels are 60 minutes in length. Players start with 40,000 in chips. We will be live streaming the feature table shortly. Vinny Maglio, winner of the $1,000 No-Limit Hold 'em event. Thanks for the support, won the $1k @foxwoodspoker got heads up with @bdbeatslayer now we are out to eat and party a bit! 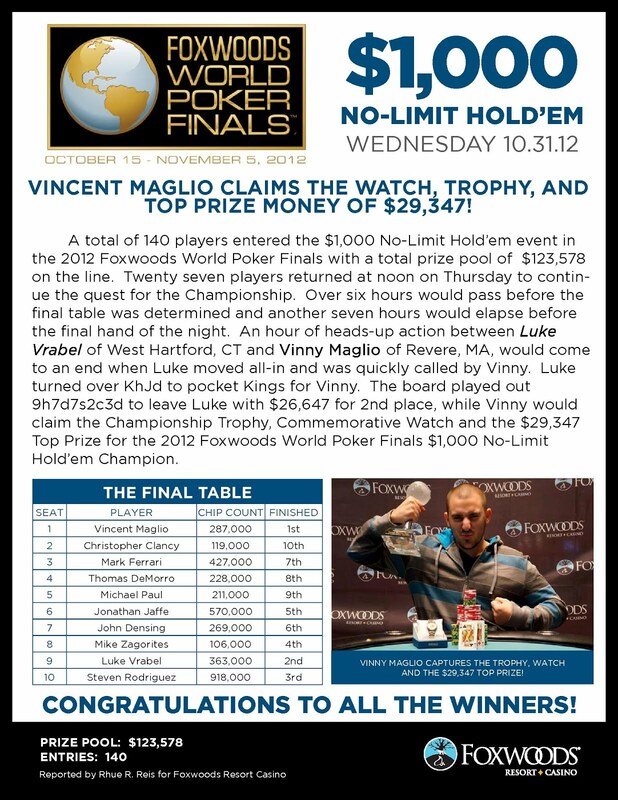 Congratulations to Vinny Maglio, winner of the $1,000 No-Limit Hold 'em event at the 2012 Foxwoods World Poker Finals. 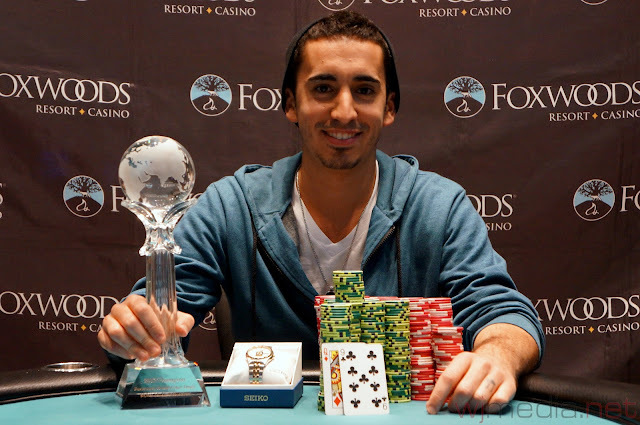 Maglio takes home $29,347 as well as the World Poker Finals Trophy and watch. Be sure to join us tomorrow at noon for the start of the $3,500 World Poker Finals Main Event! 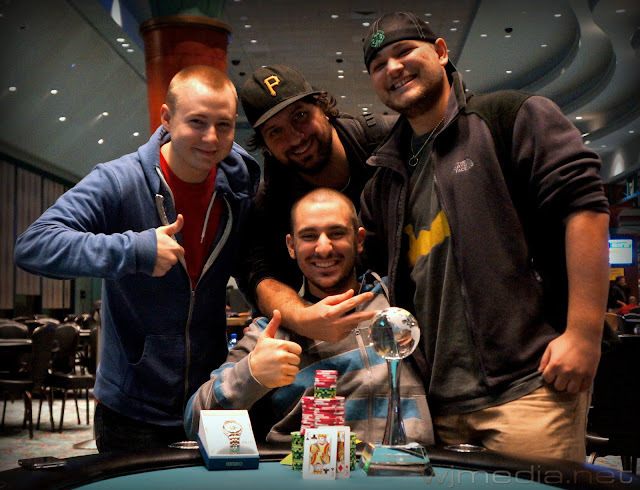 Rob Brown, Luke Vrabel and Ronnie Pease pose with $1,000 NL Champion Vinny Maglio.